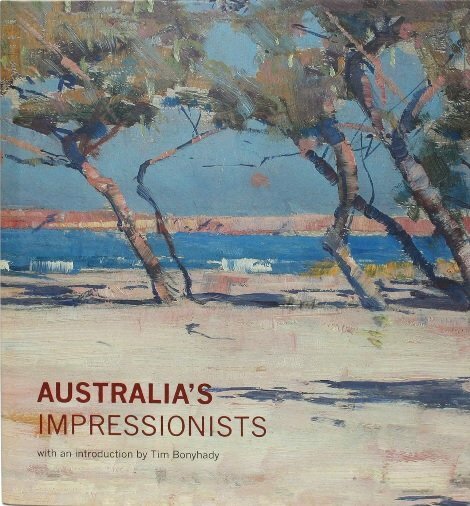 Australia’s unique take on Impressionism is here represented by four major artists: Tom Roberts, Charles Conder, Arthur Streeton, and John Peter Russell. The first three were leading players of what became known as the Heidelberg School, which hit its stride around 1888, a time of a growing movement towards a federalisation of the colonies, and a sense of what it meant to be ‘Australian’, as the Australian-born population started to outnumber migrants. With this more acutely felt sense of identity came a desire to capture more faithfully the Australian landscape, in particular the unique light. The landmark 9 by 5 Impression Exhibition of 1889 served to introduce Melbourne society to ‘Impressionism’ through around 180 ‘impressions’ or oil sketches, many of them painted on panels from cigar boxes of around 9 x 5 inches. 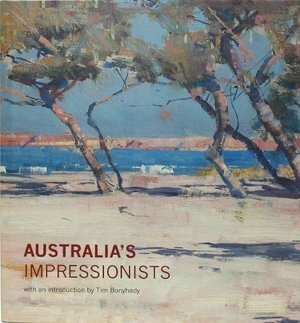 Australian Impressionism is introduced as something quite different from French Impressionism, and one more under the influence of London’s avant-garde, and in particular Whistler, whose exhibition ‘Notes’ – ‘Harmonies’ – ‘Nocturnes’ Roberts had seen in 1884, and was a prototype for the 9 by 5. Russell was born and died in Sydney, but spent some 40 years in Europe, fully embedded in the avant-garde; he was friends with Van Gogh, Monet and Gauguin, and his talents as a colourist made a deep impression on the young Matisse, but his reputation was only rediscovered in the second half of the 20th century.